To submit a support request, visit our Contact Us page. PocketFives.com is a popular online poker forum and community launched in early 2005 by Vanderbilt University graduates Cal Spears, Adam Small, and Riley Bryant. PocketFives focuses on online poker tournament play, but players of all types from around the globe use the site on a daily basis. Why do we call ourselves PocketFives? If you don’t already know, pocket fives is the most culturally rich hand in poker. Nicknamed “presto,” this hand has developed its own subculture, particularly in online card rooms and message boards, since the early 1990s. The proliferation of online poker has since solidified this hand in poker lore. It has a certain mystique, which made the name a perfect fit for our community. Within five years of its launch, PocketFives grew to over 100,000 members from all over the world. Our site originally gained fame by ranking online poker players. Since then, the PocketFives Rankings have become the standard by which online poker players are measured. We’ve also diversified to display Country Rankings and Sortable Rankings that allow users to determine who the top players are in a particular city or region. PocketFives offers unique content about poker news, legislation, tournament results, interviews, and lifestyle. Our team of experienced content writers brings the industry to life on a daily basis. Here’s an overview of our writing staff. Lance Bradley began working in the online gaming industry in 2001 with Bodog. From early-2004 until mid-2006 Bradley was the Poker Room Manager for the online gaming company. After leaving Bodog he launched an independent poker blog, ThePokerBiz.com, which he ran for two years before joining BLUFF in 2008 as Managing Editor. He was named Editor in Chief in August 2009. In August 2015, Bradley was named PocketFives President and Editor in Chief. Bradley graduated from the Applied Journalism program at Kwantlen Polytechnic University in his hometown of Vancouver, Canada. He now lives in Atlanta with his wife and daughter. Donnie Peters began his career in the gaming industry in 2008 with PokerNews, serving as a staff reporter at the 2008 World Series of Poker. 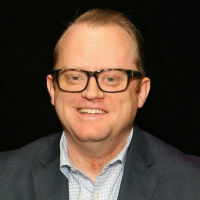 Peters was promoted to Global Live Reporting Manager in 2009 and named Editor-in-Chief in 2012. As Editor-in-Chief of PokerNews, Peters was named Media Person of the Year at the American Poker Awards in 2016. Following his time at PokerNews, Peters joined the World Poker Tour as Marketing Manager in August 2016 and was tasked with the development and execution of key marketing initiatives for one of poker’s leading brands. In September 2018, Peters was named PocketFives Managing Editor. A lifelong card player, Jeff re-discovered poker in the Jerry Yang boom of 2007. Shortly thereafter, on his own time and “for the love of the game” Jeff routinely penned the “pkrgssp blog”, a poker media aggregation and review site. Post-Black Friday he was given the opportunity to host his own podcast for QuadJacks (still available on YouTube) which he did for the better part of that year. 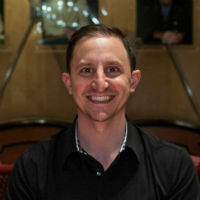 In 2012 Jeff took a writing position with industry news site Pokerfuse. While there, he conceived of and assisted in the creation of its sister site F5poker, where he was the Managing Editor and core content provider until early 2014. When the opportunity arises, you can find Jeff mixing it up in the Northern California tournament scene. Aaron is a U.K. based freelance writer who has been playing no-limit hold’em for ten years and currently spends his time playing both online and live poker when he is not writing. After graduating from Brighton University in 2012 with a degree in Sports Journalism, he took his first trip to Las Vegas just a couple of months later and achieved his first live tournament win, after taking down the $120 daily Aria event. 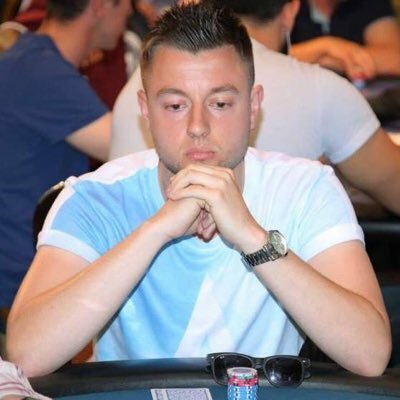 Since April 2017, Aaron has been freelancing as a live tournament reporter for 23Digital and PokerNews covering events across the U.K. as well as Austria, Canada and Las Vegas. Outside of poker, Aaron supports Newcastle United Football Club, enjoys reading and regularly writes lifestyle pieces on his blog. After falling in love with poker at the age of 17, Jack dabbled on the online felt and began playing live as soon as he was old enough to get in his local casinos. The game always remained a passion, and while he pursued a career in journalism he hoped to one day combine the two..
Jack then received his degree in Magazine Journalism in 2011, before working in London as a Copywriter. His breakthrough into poker journalism came when he was asked to cover a UKIPT event by the PokerStars Blog in 2015. Since going freelance, he has covered live events in locations as far afield as the Bahamas, Chile, South Korea, Brazil, and all across Europe. You’ll find Jack reporting for the PokerStars Blog at most PokerStars Championship and PokerStars Festival events, as well as writing for PocketFives, BLUFF Europe, and other outlets on a freelance basis. Outside of poker, Jack has also written for VICE, The Guardian, The Drum and more. He lives in Portsmouth, South England.